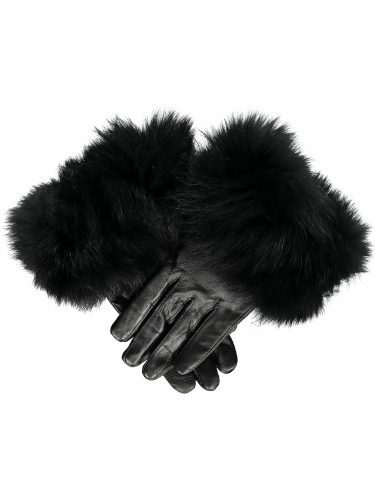 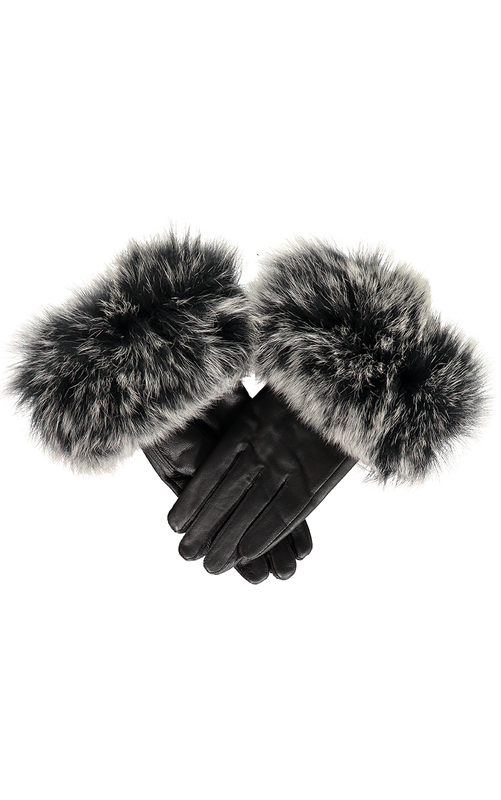 Absolutely gorgeous Black & Silver Fox Fur Cuff Leather Gloves with super soft contrasting thick and deep silver fox fur trim. 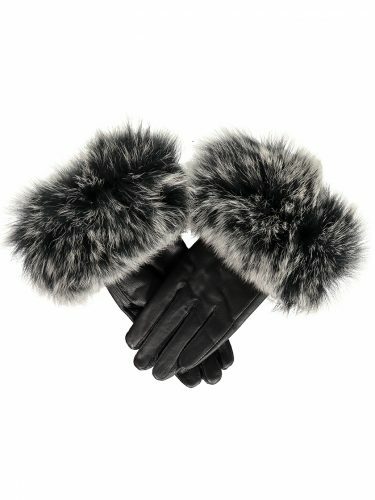 These gloves are decadent and to die for, a must accessory for the cooler season. 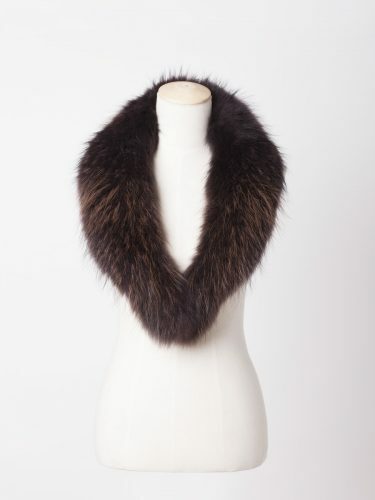 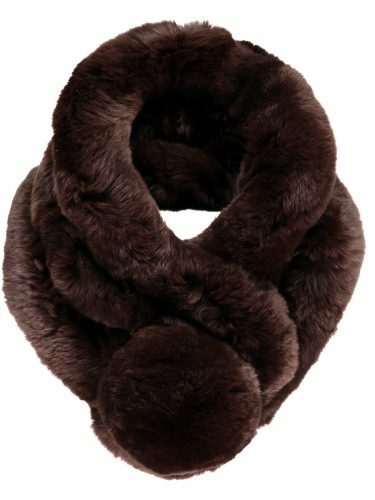 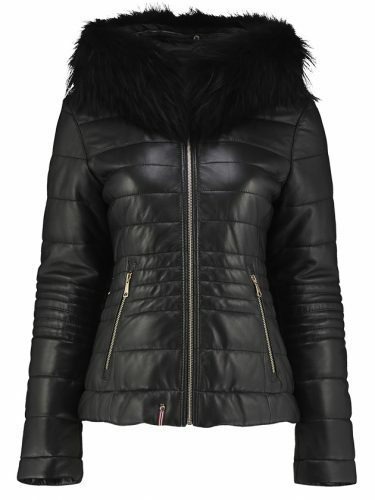 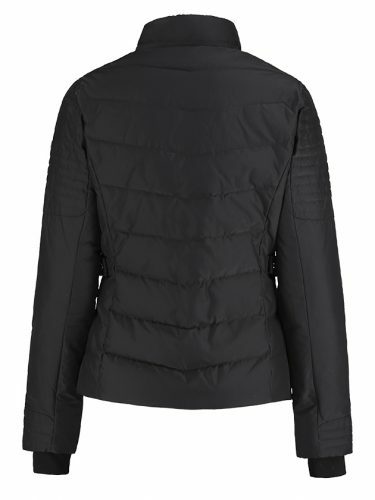 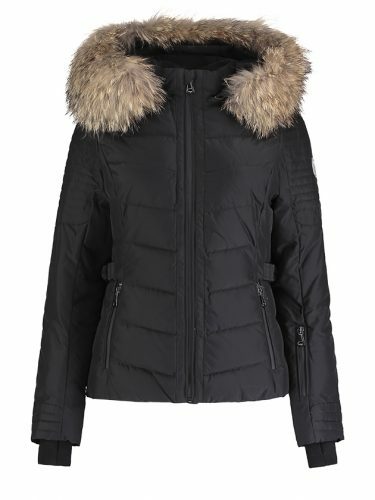 A thicker cuff of fur than on your usual glove, these will really set you apart.